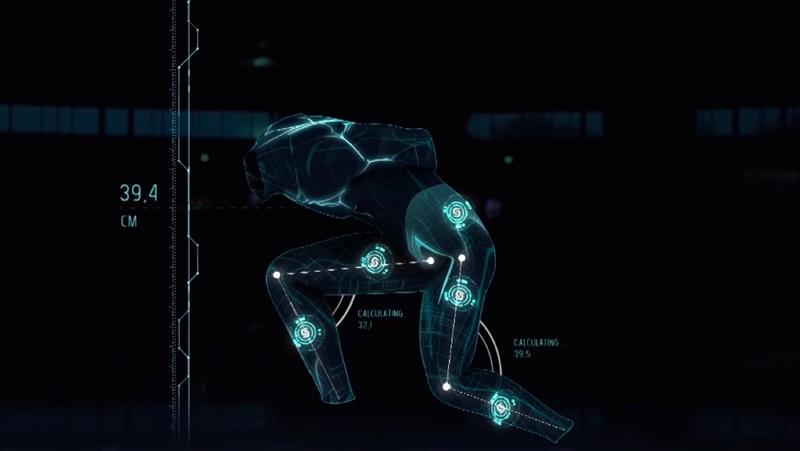 The Korean giant has created Samsung SmartSuit, a piece of smart clothing that's able to provide Olympic short track speed skaters with insights into their training. Each SmartSuit has five sensors that deliver a real-time look at the wearer's body position back to the coach's smartphone, with metrics in the millimetres helping teams use the data to alter training. These changes don't have to wait until after the skater steps off the ice, either, with the coach free to use the app to send a vibration to the suit's wrist. This buzz could, for example, represent a need to straighten out a reoccurring technical flaw in the skater — if they aren't bending enough at a certain point, the vibration could be sent to signal the need to crouch deeper. However, since the suits are designed only for training, you won't be seeing skaters wear them when the Winter Olympic Games kick off next month in Pyeongchang, South Korea. And with each SmartSuit being tailored to an individual athlete, it doesn't appear as if regular skaters will get the chance to tap into the same kind of detail. We imagine it's fairly likely that this kind of data will eventually be transmitted through broadcasts of events in the Games itself, though, in order to give viewers a better grasp on the fine margins which separate athletes. If it does progress to that point, expect Samsung to be one of the names involved with its implementation.